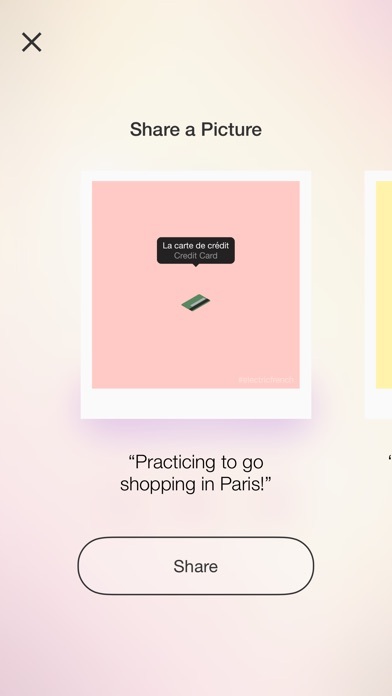 From the creators of SpeakEasy, What’s That?, and the popular @frencheveryday Instagram account comes a brand new app to help you practice your French: Electric French! 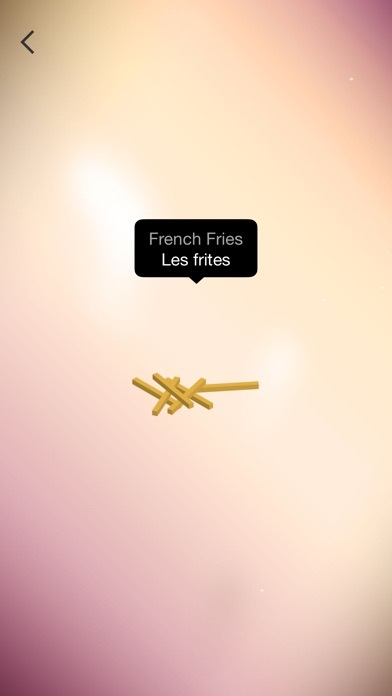 Electric French contains a collection of 300 everyday objects to learn. 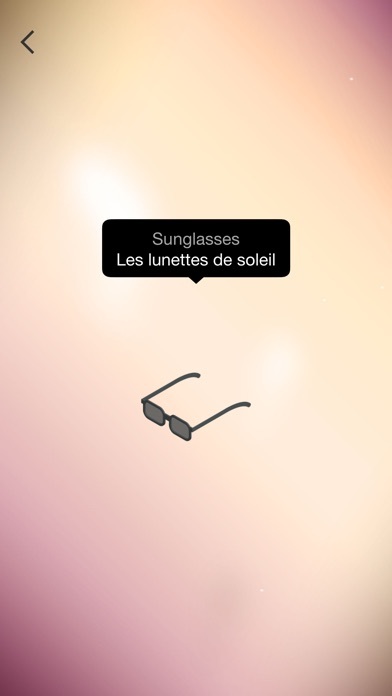 Every object is beautifully illustrated, and accompanied with high quality audio of a native French speaker — so you’ll never be left wondering how to correctly pronounce a word. Using Electric French is easy. Simply choose a category, then watch as objects fall from the sky. Test yourself by trying to recall the French translation, then tap to reveal the answer and hear the pronunciation. 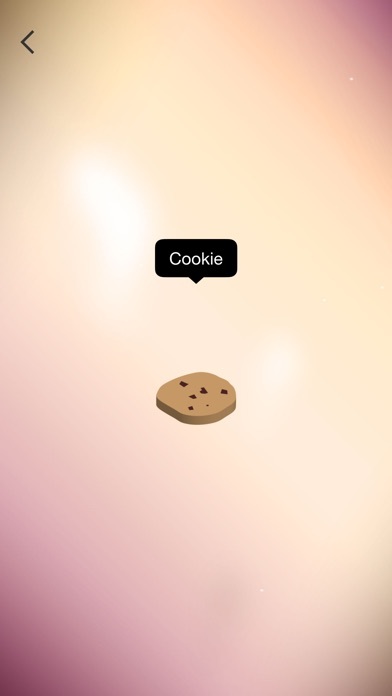 When you’re ready for the next object, simply flick the object away to get a new one. 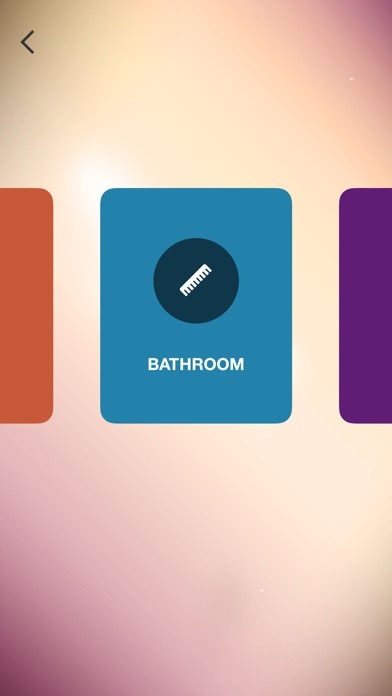 FEATURES • 300 everyday objects to learn in 13 different categories: Office, Kitchen, Bathroom, Beach, Bedroom, Living Room, Shed, Laundry, Bar, Restaurant, City, Park, and Cafe. • High quality audio recorded by a native French speaker to help you perfect your pronunciation. • Test yourself by hiding the French translations, then tap to see if you got the right answer. • Learn in a hurry by showing both English and French at the same time. • No internet connection required, no logins or accounts needed, and no sneaky in-app purchases.